Avast! Browser Cleanup is a new option in de the security products from avast! This utility is also available as a stand alone version. This cleanup tool is developed for remocing unwanted toolbars from Internet Explorer, Mozilla Firefox and Google Chrome. Unfortunately, the most free software nowadays that is packed with a wrapper comes with some unwanted add-ons; in most cases a browser toolbar or browser modifcation such as a homepage hijacker. Many toolbars can be quite annoying because they change your homepage and your search engine in the installed browser without you realizing it directly. The most toolbars or other potentially untwanted programs tracking your browsing activities and searches, shows annoying ads and manipulate your search results with redirects and sponsored links with agressive advertising methods. Supplementary they are difficult or even impossible to remove completly form your system whitout leave any orphans or remnants in the used browsers. Avast! Browser Cleanup can lists all these add-ons for Internet Explorer, Mozilla Firefox and Google Chrome and allows you to disable or to remove them easily from your system and browsers. The automatic rating system of avast! Browser Cleanup allows the user to see how other users like an add-on and which reputation it has. 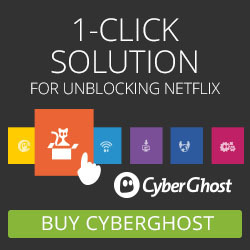 If you want to checkyour own browsers or get rid of an unwanted toolbar and if you use any security program of avast! 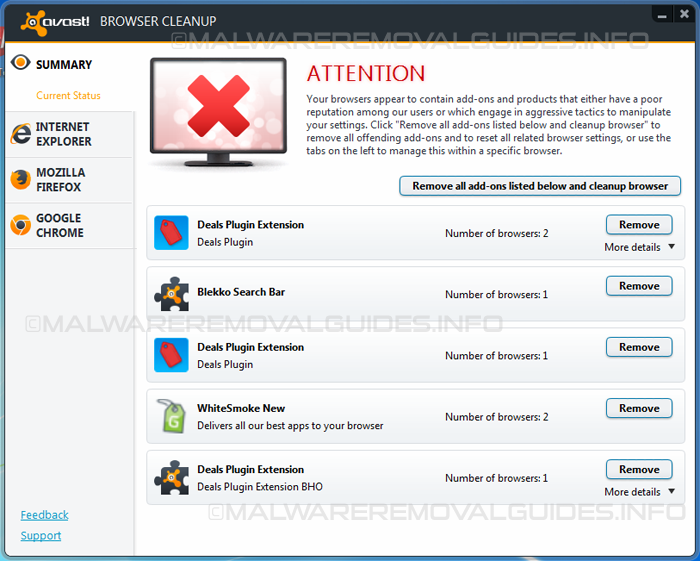 browser cleanup you can access the tool directly from avast! by “Security” – “Tools”. If you don’t have installed a security product from avast! you can download the stand-alone version. Download Avast Browser Cleanup to your densktop, from the link below. Double click on “avast-browser-cleanup.exe” tot start the application, if you receive a message of User Account Control, click Yes to continue. Next avast! Browser cleanup will automatically scan your browsers for unwanted add-ons or toolbars with a poor reputation. All these add-ons will be listed under summary, each toolbar or unwanted application is listed separately so you can choose which toolbars you want to remove from your system. Below summary you can check your installed browser and which toolbars are present with a user rating. Avast! Browser Cleanup detects the following toolbars or unwanted applications; Ask.com Toolbar, Yahoo! Toolbar, Babylon toolbar, Babylon toolbar helper, SweetPacks Toolbar, Delta Search Toolbar, Searchqu Toolbar, Web Assistant, DealPly, DeAlsPlugin, Funmoods Toolbar, AVG Security Toolbar, Delta Helper Object, SweetPacks Toolbar for Firefox, IMinent Toolbar, Incredibar. Malware infection – What can I do best?